Oh my stars, how cute is this??? Jane has this adorable Button Back Shift Dress on sale today for $21.99 (regularly $44.00). 5 super cute colors to choose from! Step into this spring in this adorable jersey dress! 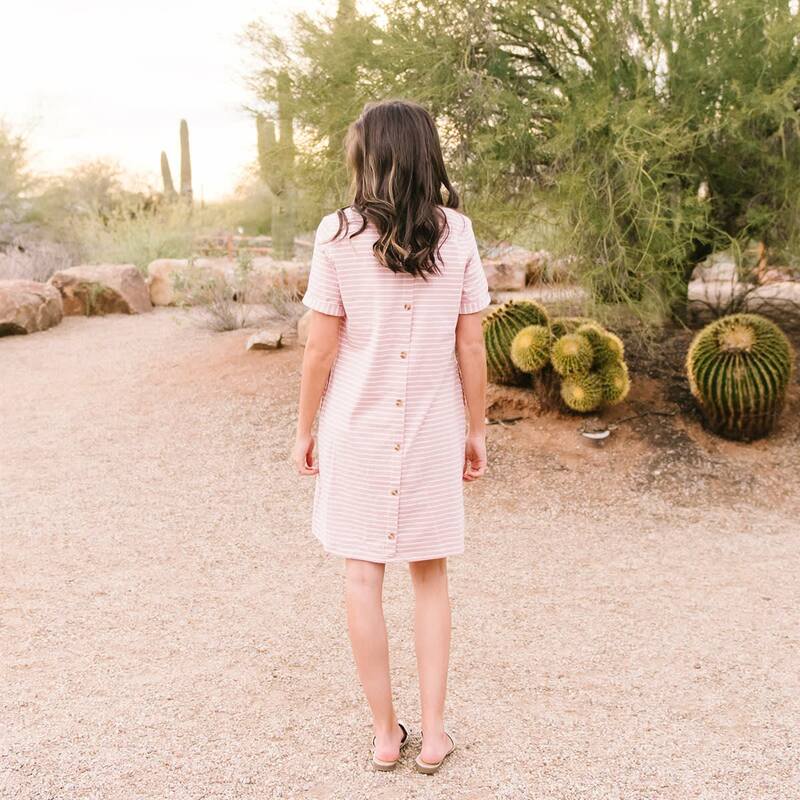 The chic stripes, buttons up the back, and side pockets combine for a chic spring dress. The jersey fabric is soft, has a nice weight, and is non-sheer. The straight, shift dress styling is a flattering silhouette on all body types. Just throw it on with sandals for an easy yet chic spring look! Shipping is $4.50 for the first item and $2.50 for each additional item. You can snag one HERE!